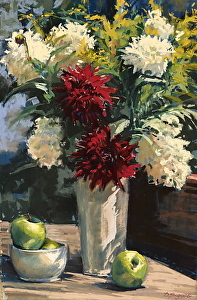 Learn to approach still life painting with a focus on creating set ups with everyday ordinary objects. We will be observing the light distribution and using different layering techniques to learn to create a powerful and energetic painting. We will explore different ways to manipulate values, colors and edges. The workshop is designed for indoor practice with live settings.